We create bespoke apps for iOS. From video chat and direct messaging platforms through to virtual reality video players we develop in house code for modern devices. Call us to discuss yoru project. 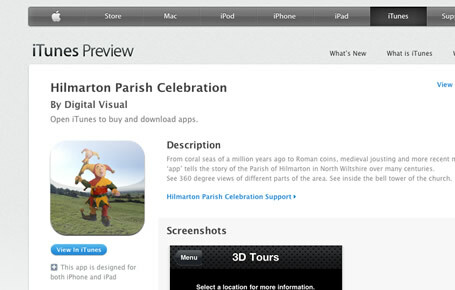 Digital Visual is an iOS developer and has a number of iPhone and iPad apps available in the apple app store. We can work with you on your app, and deliver it through our apple store account. There are many ways to generate revenue through apps, and we can facilitate charging for downloads, or generating income through advertising. More visitors will soon be using mobile devices than desktop computers. 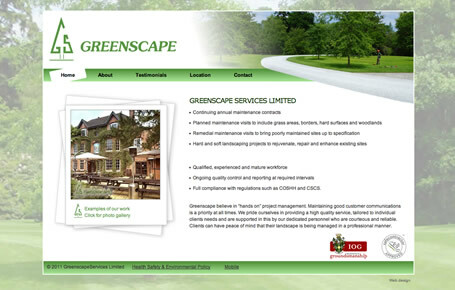 Your website needs to cater for your visitors however they choose to view your information. A well designed website will work across a range of browsers including mac computers, PCs as well as the iPhone and iPad. Taking this a step further it is possible, and preferable, to deliver the same content to touch screen and mobile users in a different way. Imagine swiping through images of your products, or information pages. Imagine easy to press buttons linking users straight to the content they need. Imagine your logo apearing on a users homescreen like an app if a user likes your site. If your website detects users on an iphone, or mobile device it can deliver a streamlined site, designed beautifully to suit a smaller screen. 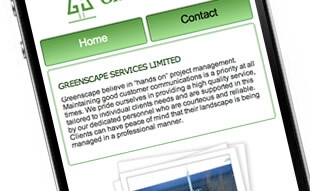 We can also make your website load faster, optimised for the mobile web. Why Upgrade and Cater For Mobile Users? You manage one set of content from your CMS and we automatically display the information in different ways to different users. This cuts down on your workload maintaining different sites, whilst catering for your users in an improved format. Mobile users don't like waiting. If your site is slow to load new customers might go to a competitor. If your site is faster to load, and faster to navigate, current customers will be impressed by your improved customer service. Responsive web design is essential for a modern website. This website is built using styling that adjusts to the page size. Try viewing this website on a mobile device, or re-sizing the browser window. the aim is to cater for every screen size with the same web page, so we only need to keep one up to date.